This was going to be a great project do do because of all of the colours that we would get to work with. Taking all of that into consideration we decided to push forward with a positive attitude, and this combined with our professional experience and eye for detail, enabled us to create a killer outfit that we are extremely proud of, hence our post today. We started off with planning out every detail – down to the last stitch – of this Lulu cosplay costume so that we could properly ensure that we were ready to construct it. 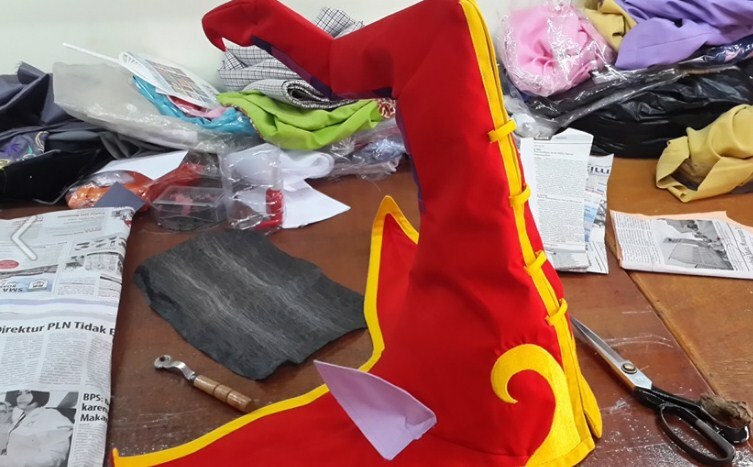 That combined with the custom measurements of the client and great, well-researched example photos had us well prepared to create the costume with a good state of mind. The shoes were fun for us to play with, and it was a relatively different construction, as we used pleather to construct them (fake leather). Pleather is a great fabric to work form because it works quite similar to its mimicked quality, and it doesn’t have any of the association of the animal product, not to mention that its difference in price allows us to keep our prices low for your convenience as a valued customer. We constructed those so that they would look exactly like the photos and be comfortable for the client to wear for extended periods of time. 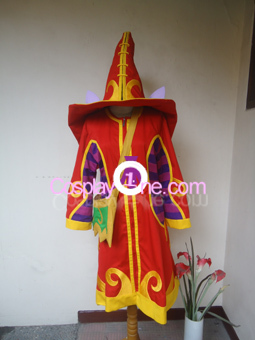 The main outfit was covered in color and pattern as you can see from the photo and the bulk of the time working on this project was spent between constructing every inch of this main part as well as the complex hat that goes along with this realistic LoL cosplay costume. Though we admit freely that, even with our professional skills and experience, this was a difficult project for us, we came out successful on the other side with a finished product that really took on the exact appearance of the photos that we had been given for reference. The main outfit was deliciously fun for us to create due to the fact that it was so colorful and complex. While it took us the majority of the time to get it right – and we did it as many times as we needed to make sure that every last detail was perfect – it was a lot of fun for the employees to work on due to the fact that it was so tricky and exciting to work with. There’s nothing our employees like more than good design and a challenge to work with. 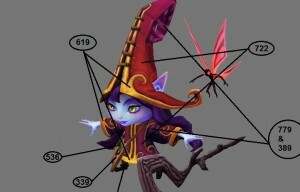 As you may already know, any of the costumes from the League of Legend is going to be complex and take a lot of effort because each one is so unique and complex in its own way. In the past, as mentioned, we’ve worked on other LoL cosplay costumes before like Dunkmaster Darius, Lucian the Purifier and Karthus III. After working on these difficult but enjoyable creations we were ready to continue our progress with this fantastic and realistic Lulu costume that we are now proud to add to our photo gallery of completed and enjoyed cosplay costumes. It just goes to show your that even the most difficult and complex costumes can be completed when you have a great team and a fantastic customer with great details. As they say in many forms of business, “many hands make light work”, and that definitely applies here. The results that we got from this Lulu costume as well as the other LoL costumes (and all of our other challenging pieces) were a result of a talented and dedicated staff that didn’t stop until everything as exactly as it should be. That is the kind of teamwork and professionalism that you don’t see many places. Cosplay1.com is lucky to have the talent and skill that it has here, and this is why our company is so highly regarded.